Water posed a big problem and was an essential commodity for war in the desert. The advance of the Egyptian Expeditionary Force from the Suez Canal across the Sinai Peninsula and into Palestine depended on water and a large pipe line had been laid from the Suez Canal to El Arish by the end of 1916. 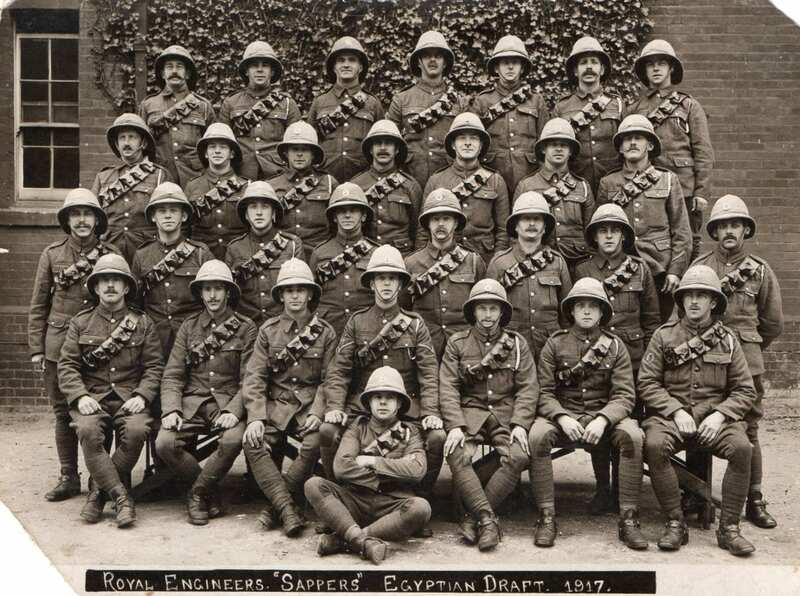 Following General Edmund Allenby’s appointment as commander of the Egyptian Expeditionary Force (EEF) in mid-1917, additional forces were sent to enhance the mounted arm of the EEF and Sapper William George Neale (167684) was one of those men. Allenby understood the problems posed by logistics in the desert and he spent much time working to ensure his soldiers would be well supplied at all times, especially with water. As an apprentice plumber to the London Gas Light and Coke Company, William George Neale learnt his trade and in 1910 started his own company in Surrey and continued building his business until the outbreak of the First World War. 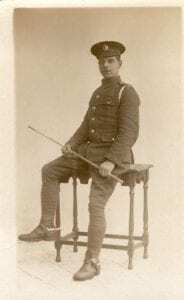 He married Ethel Florence Bravery in December 1914 and was called up at the end of 1915 and sent to Chatham to join the Royal Engineers (RE) in 1916. His attestation papers record his age as 25 years, his occupation as plumber and his address was given as Buckland Lane, Kingswood, Nr. Reigate, Surrey. He was short in stature (5 feet 4 inches) and this would have made him ideal for the mounted Field Squadron that he was to join. William’s son, Douglas Alfred Taylor Neale was born in May 1917, but the new father was to miss the first two years of his son’s life. One month later, following a period at the Training Depot with the Royal Engineers in Aldershot, William embarked for Egypt on 18 June 1917, arriving in Mustapha, near Alexandria in July. William’s service was beset by several periods of illness. 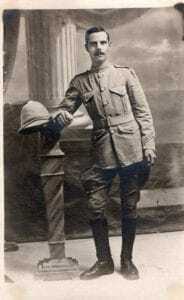 On the first occasion he found himself in the British Military Infectious Diseases hospital in Choubra, Cairo for a short period at the end of August 1917 suffering from tonsillitis, which required a period at the Boulac Convalescent Depot in Cairo until he had regained his strength by 20 September 1917. He then resumed his duties as a member of 7 Field Troop which had combined with others to become the 6th Field Squadron, Royal Engineers. The principal tasks of the Royal Engineer units were searching for a water supply, clearing Ottoman wells, digging wells, as well as maintaining a water supply by erecting and repairing canvas water troughs. This meant keeping up with any troop advance and in some cases scouting ahead of the main force. They were also tasked with draining stagnant, malarial pools, with the obvious risks to their own health. Other tasks included the construction and maintenance of roads and bridges, as well as the building of sledges for the Field Ambulances, so that camels could be used to evacuate the wounded from ground where motorized ambulances could not operate. Following the Battles of Beersheba in October 1917 and the Third Battle of Gaza in November a chronic water shortage developed and William with other members of the 6th Field Squadron were on a position in the hills north of Beersheba and were ordered to secure a water supply at Jemmame and Huj. While 7 Field Troop was installing water facilities at Jemmame, the 5th Mounted Brigade capture the Ottoman supply depot at Huj after an epic cavalry charge, against the Ottoman Turks and their allies. 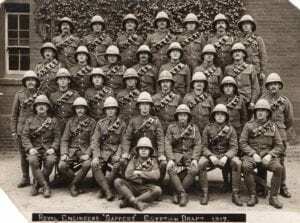 The EEF advance continued with the Battle of Junction Station on 11 November 1917 and the advance on Ramleh which enabled William and the 6th Field Squadron to reach Ramleh on 15 November. From there the Field Troops organised pack detachments to ensure the lead troops of Yeomanry Mounted Division received water. The Yeomanry Mounted Division’s advance was checked at Ramallah on 21 November, and the Division’s horses sent back as they had become an encumbrance in the hills. On 27 November the Turks counter-attacked, driving the Yeomanry from El Foka. Determined to complete the road works 7 Field Troop RE lost its tools to the advancing Turks. Finally on 9 December 1917 Jerusalem was captured. In early 1918 William again fell ill and his pay book recorded a period spent in a Stationary Hospital in January with malaria, followed by a stay in 21st General Hospital in Alexandria. His service record indicates gastritis, but these illnesses seem to have rendered him ill until April 1918. He then rejoined 6th Field Squadron in May for a brief period, but appears to have had another bout of gastritis in June 1918 and was treated in No. 18 General Hospital, followed by a short period of convalescence at the Depot in Mustapha. With the reorganisation of the EEF, 6th Field Squadron became 4th Field Squadron attached to the 4th Cavalry Division which served with the Desert Mounted Corps for the rest of the war. During the latter months of 1918, William as a member of the 4th Cavalry Division would have been in the Jordan valley as part of the occupation force working on the maintenance of bridges, road improvements, drainage of stagnant malarial pools and maintenance of the water supply. The Division was in the orange groves north west of Sarona on 17 September, but William had succumbed once again to illness and was admitted to 31st General Hospital that day, followed by 10 days convalescence at the Depot in Abassia from 27 September. While considerable numbers of the occupation force suffered from malaria and the heat and dust were terrible, the occupation paved the way for Allenby’s successful Battle of Megiddo in September 1918. The 4th Cavalry Division reached Deraa and then moved on to Damascus which fell on 1 October 1918. By this time not only was malaria rampant within the 4th Cavalry Division but influenza has also reached the Middle East. Beirut was occupied on 8 October and Homs on the 10 October where despite a high level of sickness in 4th Cavalry Division the advance continued. On 16 October the 4th Cavalry Division despite being reduced by the sickness reached Baalbek and on 25 October Aleppo was captured. The Armistice of Mudros was concluded with the Ottoman Empire on 30 October, formally ending hostilities at noon on 31 October. The Desert Mounted Corps was named as part of Army of Occupation and remained in Palestine on occupation duties after the end of the war. During this time William was promoted to Acting Lance Corporal, and as demobilisation began immediately he returned to Britain in April 1919. On 6 August 1919 he was discharged and transferred to the Reserve Mounted Depot. On his return to Britain William resumed his business, building it into a highly successful organisation which he ran until his death in 1952. William’s grandson Tony Taylor-Neale has undertaken this research. 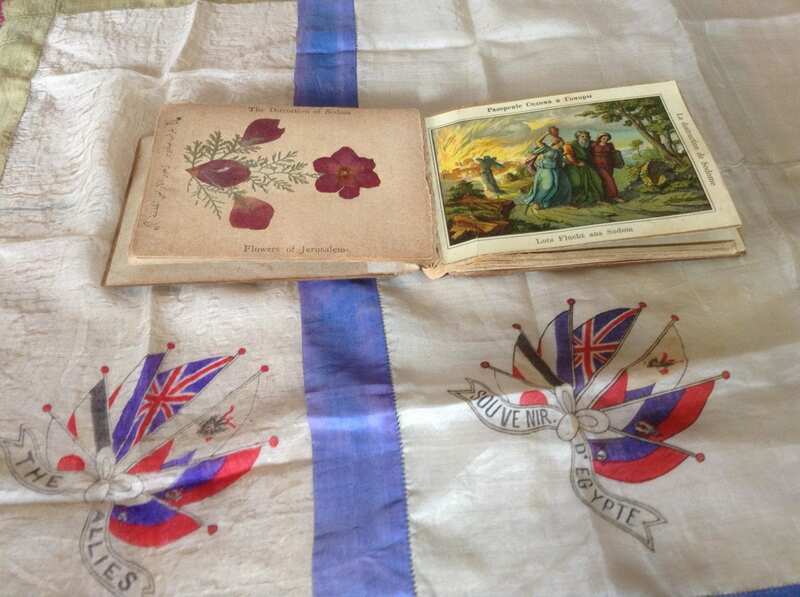 He is a retired teacher of history and longtime member of the Western Front Association. He has used his research to deliver a number of talks to branches of the Association.